← Enormous Sale Starts Saturday at 10 a.m.
To a degree unlike any other town, New Albany has made Tim Dorsey a favorite son, though his only connections to us are through his amazing Serge Storms novels. Per capita, I’d wager no other city has supported Tim’s career as much as has our riverside burg. 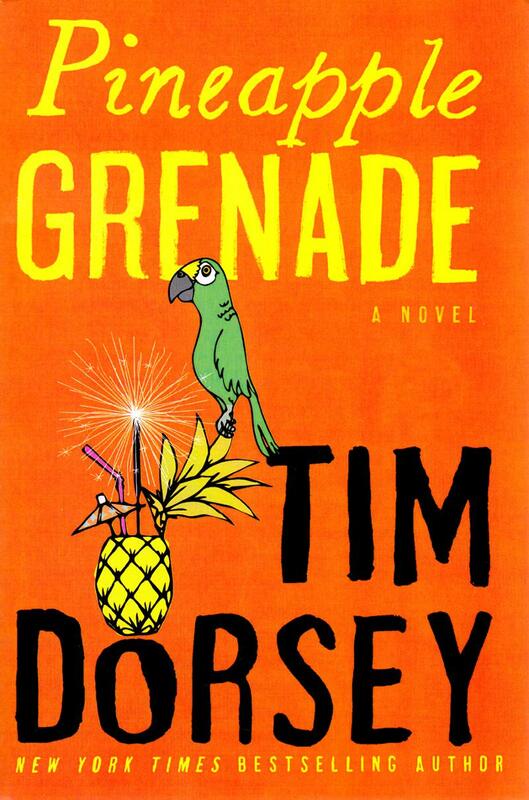 Like last year, neither Ann nor I have had the opportunity to read Pineapple Grenade in advance, so we’ll be enjoying it right alongside you. Wednesday afternoon, we’ll unveil the book to the dozens of you who are Tim’s fans. In the meantime, here’s a quick preview from Tim himself. Many of you enjoyed the bonus holiday tome from Tim – When Elves Attack – so I’d expect our first shipment will sell out pretty fast. Come by, call, or e-mail.